KC HiLiTES, the dominant force in auxiliary and off road lighting! Pit Stop USA is The Online High Performance Superstore! We feature Auxiliary Light Replacement Lenses at low everyday prices. Pit Stop USA is The Online High Performance Superstore! We feature Exterior Lighting at low everyday prices. 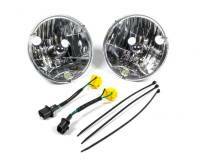 Check out the Recently Listed LED Conversion Kits and Components. Pit Stop USA is The Online High Performance Superstore! We feature Light Bulbs at low everyday prices. Pit Stop USA is The Online High Performance Superstore! We feature Taillights and Brake Lights at low everyday prices. From the privateers to the pros, KC has been pioneering higher-quality off-road lighting since 1970. 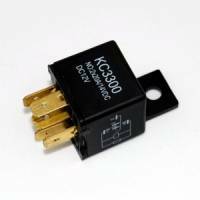 Since the beginning, KCs involvement with motor sports has been critical to the process of designing, engineering and manufacturing the most advanced auxiliary lighting available. Their competition HID lights are now found on many winning off-road race vehicles including Scott Douglas, Curt LeDuc, Ron Whitton, Randy Merritt, Rick Doetsch, Todd Wyllie and many others. As the original manufacturer of off-road auxiliary lighting, KC HiLiTES not only set the standard for the category they created it. KC was started by Pete Brown in his garage in Saugus, California, as he was looking for some improved lighting for his pickup. He started using landing lights from aircraft, adapting them to his truck, and then figured out the way they mounted wouldnt stand up to the rigors of the now growing off-road community of race buggies and pickups. Available lighting at the time was limited to 55-watt halogen lamps that were in his words, really disappointing in the desert. He made a few sets for friends, and KC was in business. Working with neighbors out of his garage, he assembled the lights, built the wiring harnesses and sold the packages to off-roaders and local shops. 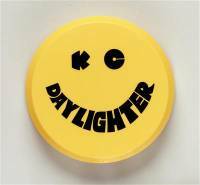 KCs Daylighter, as it came to be known, would serve as the backbone of KCs development for years to come. KC designed the special patented isolated rubber mount for the Daylighter when they noticed too many failures due to the severe vibration within the metal housing during his off-road adventures. Many long hours were spent with GE engineers, learning about the intricacies of lighting, sealed beams, filaments, the varied types of construction, wattage and what candlepower was really all about. At that time, they devised a way to completely encircle the bulb in rubber, helping isolate it. The 70s and 80s brought more innovations in lighting, and KC was at the forefront. Many race teams using KCs included pioneers Walker Evans and Ivan Stewart. In the 90s, KC developed the now-famous HID (High Intensity Discharge) lighting system, based on the same Metal Halide concept used to illuminate giant sports complexes. KC offers HIDs for off-road use, and theyre also great for commercial and industrial applications. Many ATVs and Rhinos are now running HIDs, LEDs and other KC lighting products. Today, KC is all about quality. Their lights are built tough, to last. Inside and out, KC has never accepted anything less than the highest quality materials and workmanship for their products. Their reflectors are meticulously polished to produce the brightest possible reflective surface. 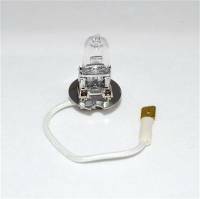 Bulbs are specially designed for the intended applications. KC light housings feature only the finest, toughest finishes. All stainless steel housings are polished and sealed for enduring beauty, and long life. Their chrome and black housings are triple plated and polished. Their black painted housings are tough enough to withstand brutal salt spray tests. KCs nylon composite housings feature an extremely tough combination of plastics and resins. It is this absolute commitment to total quality that allows KC to back every KC product with their industry leading 23-year warranty. Today the company is owned and run by Michael DeHaas, Browns stepson. A couple of KCs newer and very popular products, developed by DeHaas and his team, are the SlimLite and Rally 800 series of lights. The six-inch diameter SlimLite is available in chrome and black powder coated finishes. Offering long-range illumination with up to 300,000 candlepower, and driving light configurations from 120-150,000 candlepower, and fog lights at 25-60,000 candlepower, the SlimLite series offers a variety of options for every application. 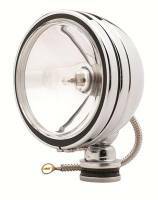 KC Rally 800 lights, featuring 8 diameter housings, come in stainless steel in either black or polished finishes. Their slim profile and full pivoting base allows for wide range of mounting options. Rally 800 lights are available in Long Range or Driving beam patterns, with super bright 130-watt halogen or ultra bright HID models. DeHaas and his team spend many weekends at off-road races, working with racers to develop high quality, super-bright lighting to help them win at night. The scariest part of off-road competition is when the sun goes down, theres no moon, and you are relying strictly on your lights to reach speeds over 125 miles per hour. DeHaas has spent many hours at the races, and in race cars, helping him develop a second-sense when it comes to lighting design. This has lead KC to develop the industrys first 70w HID light the new KC-POD! A beautiful, 7 Carbon Fiber housed ultra bright HID light designed specifically for the toughest off road racing environments. KCs newest line of high performance lights now being released is the LRZ Series LED lighting systems, offering the latest lighting technology available. The future of KC is bright!